You Asked For It…I Listened, And Now It’s Here! Over the last few months, I received so many compliments of my first eBook “The Miracle ‘All-In-One’ eBook To Reduce Wrinkles & Rejuvenate Skin Using Essential Oils! For Oily & Combination Skin!“ and so many requests for advice about dry and sensitive skin that I thought it would be unfair to keep this information all to myself. A listing of all the age-related issues faced by women with dry and sensitive skin. In-depth explanation of how essential oils and carrier oils can be used for people with dry / sensitive skincare. Extensive Recipes for cleansing, exfoliating, toning, anti-aging, moisturizing. Easy to follow instructions and precise quantities of all ingredients are listed. Emergency Treatments for dry skin. Make your essential oils and carrier oils work harder for you. And much more on skincare! Yes, now everyone understands why the ebook is 90 pages! 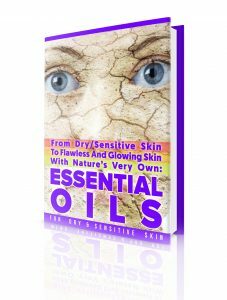 Hi Olivia, my friend bought your eBook on essential oil recipes for oily and combination skin and I was wondering if you have any plans to write something similar but specifically for people with dry skin. To call my skin dry would be an understatement and to say that popular products have done nothing for me would be an even bigger understatement. Mayday, Mayday, Mayday! That is my skin calling out to you in distress Olivia and I do hope you heed to the call. I have been an avid reader of your website and I know you have an eBook out for ladies with oily skin but why leave us girls with dry skin out when we have twice as many skin problems? OK, so I don’t have pimples to deal with but I feel my dry skin, patchy complexion, itchy face, the occasional allergy flare-ups and wrinkles are worse than a few zits here and there. And, yes I do suffer from intermittent acne attacks, particularly when I try to pamper my skin with those infomercial products. I have read the reviews of your other eBook and can’t wait to get my hands on a guide that is written just for my type of skin. You owe it to all us dry skin gals out there who also happen to be your fans! Olivia, Hello. I wanted to purchase your book, but I don’t know if it is what I need. I am 65 with dry, sensitive skin. I still get acne if I use a lot of the commercial anti-ageing creams on the market. Sunscreen always breaks my skin out. If I use Vitamin C serums or Retinol A prescription, my skin gets very irritated and dried out. I really need some guidance. I recently used a 20% Vitamin C serum and it is the 2nd week and my skin is so dried out. I put almond oil as well as jojoba oil on my face and still super dry. Even though I did not put it under my eyes, it must have worked its way up to under my eyes. My under eyes look really dry and wrinkled. Thank heaven for sun glasses. I really need your experienced knowledge to help my skin. Your site is fantastic!! I’m a new convert and dying to try some of your recipes. Have been using little more than honey face wash, oatmeal scrub, apple cider vinegar toner, and the occasional pumpkin/honey mask. So excited to try more…especially on my eyes! And, those were just four of the several dozen similar messages that I received from my readers and subscribers. I always had oily skin and thought that the grass must be greener on the other side but those mails told a completely different story. If you are baffled by the ineffectiveness of popular skin care products for dry skin, you are certainly not the only one! My name is Olivia Spencer and what I am about to tell you will forever change the way in which you treat your skin dryness. In fact, once you read through this controversial presentation, I guarantee that you will never again buy an Over-The-Counter (OTC) moisturizer or anti-ageing preparation to treat your dermal concerns. But first, let me warn you in advance about the false propaganda being fueled by multinational cosmetic and skin care product makers. These companies want to convince you that the only way to treat skin dryness is by using their cleansers and moisturizers. The reality is this – Popular skin care products do ABSOLUTELY NOTHING to control or cure skin dryness and sensitivity! These product manufacturers deliberately shoot down all attempts to get the truth about the effectiveness of natural products out in the open. They spend millions upon millions to fund studies that praise the ingredients they use in their skin care products. In contrast, they make sure that the few studies, which highlight the stunning results that you can achieve by using 100% natural, safe and organic ingredients, never see the light of the day. They also go out of their way to ensure that the results of such studies get buried under the lofty claims they make about the popular anti-ageing and moisturizing ingredients they use. But, truth needs no explanation or defense! If you have ever used a popular dry skin cleanser, serum or moisturizer, you probably know firsthand about the short life of the dismal results they offer. And, believe me when I say this – you are certainly not the only one who is disappointed by the results of these products. All the above tales of the horrors of flaky, itchy and dry skin compelled me on to launch my very own investigation into popular products for dry skin. Why Are Products Meant For Dry Skin So Utterly Useless? And, what I discovered shocked me and it will shock you too. Regardless of the manufacturers, most skin care products in the market have a common set of ingredients and problems. The most startling fact is that the ingredients in these products are actually causing the very issues they claim to solve. You don’t have to take my word on this- take a look at what your favorite products contain and the issues that they do not address. Petroleum jelly and mineral oil seem to be the absolute favorites because they happen to be incredibly cheap and on the surface they quickly offer a lot of oiliness and sheen, which creates the illusion of hydration. But, dig deeper and you will find that petroleum based emollients prevent your skin from breathing and flushing out toxins. They also clog pores, which encourages the growth of acne causing bacteria. Talk about adding to your skin troubles! Humectants like glycerin and even the famed hyaluronic acid are a part of every second anti-ageing and moisturizing product available today. When used with the right mix of ingredients for a short period, they can help a bit. However, continue applying these substances on your face day in and day out and your skin will lose whatever remaining moisture it has. Remember, these compounds are hydrophilic, which means that if they don’t absorb water from the environment, they will draw it out of the deeper dermal layers. Since dry skin cells have very little water to spare as it is, imagine what the indiscriminate and long term use of humectants can do to them. Despite a long list of ingredients, these products do not restore the moisture and lipid levels in the natural barrier of the skin. At best, they leave people with the tell-tale grease pan face. The sebaceous and sweat glands play a vital role in keeping the skin hydrated, moisturized and protected. As you may have guessed, if you have dry skin, these glands are not working as they should. But, don’t expect your moisturizer or skin serum to spur these glands into action. On the contrary, some of the ingredients actually block the pores and prevent the sebum (natural oil) and even sweat (natural moisture) from getting to the surface of the skin. Pick up any anti-ageing product randomly and you will find a myriad of acidic ingredients in it. From retinol (retinoic acid) to the ever popular alpha and beta-hydroxy acids,which are all touted as skin saviors, have one thing in common- they are all acidic compounds.I agree that they do work on certain skin types when used in the right mix of ingredients and are known to slough off dead skin cells. But when it comes to dry skin, they create more issues than they solve. For starters, all acidic compounds will cause increased dermal dryness. Plus, the exfoliating action of these substances can make the skin thinner and more susceptible to sensitivity. If that’s not enough, they simply add to dermal inflammation, which is one of the two primary causes of skin ageing. A close scrutiny of the advertisements of popular skin care formulations for dry skin reveals two things. The first is that they are exclusively aimed at creating an oily and slick surface. The makers of these products pay little attention to skin ageing and its overt signs. If that is not enough, they constantly harp about how exfoliating is the only key to a flawless glowing and age proof skin. Although exfoliating is a crucial step in the skin care regime, it is far from being the only thing that you need to keep your skin healthy and young. What about age spots that are linked to sun damage and hormonal changes? What about fine lines and wrinkles that have more to do with a reduction in collagen and elastin levels than the dead skin cells on the surface? But, these issues are just swept under the carpet. The makers of these products are expecting you to simply buy into their marketing claims and not even notice the actual damage that is being heaped on your skin. Although there are several powerful antioxidants in nature, there is no one substance that does it all. In fact, regardless of whether antioxidants are being used on the face or being taken internally, a mix of compounds will yield better results than just one or two popular substances. Finally, the inclusion of chemical preservatives, colors and fragrances poses a bigger issue for people with dry skin than those with other skin types. Remember dry skin is more sensitive and vulnerable to allergic reactions. Can This eBook Help You? 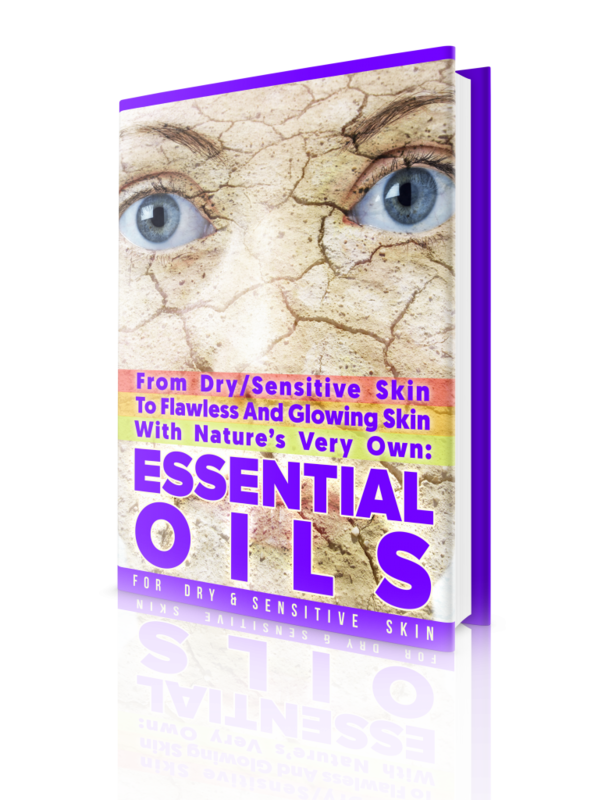 Before writing this eBook, I spent a lot of time studying the physiology of dermal dryness and the crux of all my learning was this – there is no such thing as “uniform dry skin”. This again is one of the reasons for the failure of most popular skin care products. They simply assume that skin dryness is the same every time and for everybody. The truth is that dermal dryness not only varies from person to person but the extent of the condition also differs greatly based on climate, age and hormone levels. And this understanding formed the cornerstone of this guide and is the reason why this eBook will work for just about everybody. Here Is How This eBook Will Help You? You will learn about your skin: For starters, you will find out just how bad your dermal dryness is with simple tests that offer accurate results. You will know how you are contributing to your skin dryness: The next step in the process is to understand how you inevitably end up causing and exacerbating your dermal dryness. Once you know where you are going wrong, it is easy to play it safe and keep your skin protected. You will learn about using oils for skin care: Before you go to the part where you start making your own blends, you will learn about how to purchase store and use carrier and essential oils. You will know about the healing effects of plant extracts and oils: The guide includes a list of essential and carrier oils with a concise explanation of their beneficial properties and how and why they should be used to fight skin dryness and skin ageing. You will get easy recipes for skin care formulations: The recipes in this eBook are a simple mix of essential and base oils. It barely takes 10-15 minutes to whip up these formulations, but they are more effective than most OTC products. You will be able to create a skin care regimen for your skin type: The guide offers a step by step explanation on how to care for your skin. You will know how to deal with specific skin issues: You will also find recipes in the eBook that are meant to sort out specific skin issues like under eye dark circles, rash and dermatitis. When you have tried all else, you can always count on Mother Nature to help you out with your skin concerns including dermal dryness. The inclusion of base oils such as those of wheat germ, rice bran, jojoba and evening primrose as well as popular essential oils like lavender and rose in commercial skin care formulas is a testament to the fact that these natural ingredients deliver stupendous skin care results. Click the ‘Add To Cart’ button below to reverse your dry / sensitive skin as well as start your journey to anti-ageing program right now and make your friends jealous! Special price of US$19 for the 90-page eBook! Actually, Essentials Oils Are THE Solution To All Your Skin Problems! Heal the skin: From moderately dry skin to a face that is ravaged by eczema and rosacea, essential oils can heal just about every skin ailment imaginable, including those that cause scars and oozing rash such as dermatitis and acne. Anti-inflammatory: Chronic inflammation is a leading cause of skin ageing and essential oil blends are very effective in toning down inflammation and regulating the immune response of the body to allergens. Restore the lipid barrier: Together base and essential oils restore the lipid barrier of the skin structurally and functionally. This means that your skin gets greater natural protection from the elements. Stimulate the sebaceous glands: Unlike commercial products, essential oils can actually spur the sebum and sweat producing glands into action, thus increasing the hydration level of the dermal layers. Increase blood circulation: The active compounds in essential oils draw a greater amount of blood to the surface of the skin. This means that the skin cells get more oxygen and nutrients. Tighten the skin: The combination of the right base and essential oils helps to plump up the skin cells; this in turn makes the skin visibly tighter. Tone the dermal layers: The effect of essential oil blends goes well beyond the dermis as the base oils carry the phytocompounds from these plants extracts all the way into the dermis. So, these oils not only tone the uppermost layer of the skin but also strengthen the dermis, which lends support to the superficial skin layers. Detoxify the skin: Essential oils draw out the toxins from the skin cells, which keeps them healthy and increases their lifespan. When the dermal cells are healthy, growth matter circulates freely in between the dermal layers, leading to faster cell regeneration. Strengthen cellular walls: The phytochemicals in essential oils strengthen the walls of the skin cells, which prevents the loss of moisture from the cells and makes them resilient to environmental factors. Prevent transepidermal moisture loss: Because base and essential oils make the skin’s lipid barrier stronger, they directly help to prevent the loss of moisture from the skin cells. Increase the production of collagen and elastin: Some of the essential and carrier oils have the ability to impact the synthesis of collagen and elastin in the dermis. These proteins support the upper layer of the skin and give your face a youthful appearance. Erase hyperpigmentation: Without the use of harsh exfoliants and bleaching agents, essential oils can erase hyperpigmentation caused by sun exposure as well as hormonal changes and acne. Antiseptic and anti-microbial: Because the majority of essential oils have strong antibacterial properties, you never have to worry about acne when using essential oil blends. Prevent oxidative damage: Last but not the least is the fact that you won’t find the antioxidant value offered by essential and carrier oils in any man-made ingredient. Because the recipes in this eBook use several different essential and carrier oils, you get 360 degree antioxidant cover that battles sun damage and free radicals. If you have always wanted to use essential oils to heal and pamper your skin, this book will prove to be the ideal product for you. It is informative and has an intuitive layout that answers all the questions and doubts that you will have along the way as you mix your first few blends. Let me reveal all these secrets to you, so that you look young again and beautiful for years to come. Click the ‘Add To Cart’ button below to buy the 90-page eBook for the special price of US$19! You want all natural solutions to treat and cure dermal dryness. You want to battle prevailing signs of skin damage such as wrinkles and dull complexion. You are dealing with dry skin acne and scars left behind by bouts of zits. You want a long term solution for your skin dryness. You want conspicuous improvement in the texture of your skin. You want to keep wrinkles and fine lines away. You have sensitive skin and want natural skin care products that do not cause allergic reactions. You want a potent mix of antioxidants and anti-inflammatory agents that will prevent skin damage under all circumstances. You want to reduce your dependence on commercial skin care products. You want an affordable solution for your skin issues. Most people who start using essential oil blends never go back to commercial formulations simply because these natural preparations are so effective. Do not for a moment think that because the ingredients in these blends are all natural, you will have to wait for months to see the results. Yes, essential oil blends are a long term treatment that not only cure current skin concerns but also prevent the onset of dermal issues that come into the picture as you age. But, the impact of using these oils on your skin can be seen within days. What Can You Expect From The Recipes In This eBook? Short term results: The most striking benefit of using the essential oil blends from this eBook is almost immediate relief from skin flaking, redness and dryness. Within a few days of using these formulations, your skin will start looking healthier and well moisturized. Midterm results: Your complexion will get clearer and scars will fade away. Also, essentials oils are remarkably effective against skin sagging and wrinkles. It takes about 3-6 months of use to see visible results against all signs of skin ageing. Long term results: The biggest benefit of using essential oil recipes is that the results are sustained and long term. With continuous use, you can actually delay skin ageing by as much as a decade or even more. Imagine looking better than you did at 40 when you just a few months away from your 60th birthday! No exaggeration here; that is really how effective essential oils are. After all, you should never underestimate the power of Mother Nature. Nobody and nothing can heal and soothe the way she can! Looking For More Reasons To Buy This eBook? Great Savings: Depending on the creams and lotions you buy for dry and sensitive skin, you can easily spend $300 or more every two months just on skincare products. For that much money, you can get enough essential oils and carrier oils to last you for one to two years to deal with your dry / sensitive skin issues. At $300 every 3 months, we are talking about savings of $2,100 over a 24-month period! Results like never before: Even when they offer free samples, most commercial skincare product makers ask you to try their products for at least four weeks to see results. But, these essential oils blends are so potent that you will see your skin improving day after day. In fact, by the first week, you will see noticeable improvement in your dry skin and all signs of ageing. Products that can be used for as long as you like: Despite the use of chemical preservatives, once opened, commercial anti-ageing preparations begin to degrade fast. 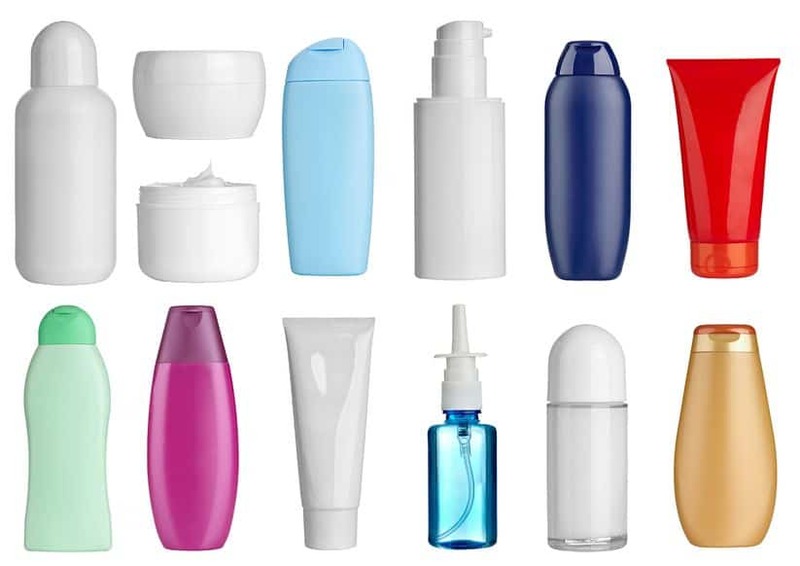 Manufacturers often use artificial colors and fragrances to mask this degradation. But, with natural essential oil blends, you can make fresh batches as and when needed. So, the ingredients retain their potency and create the precise effect that you are going for. This means that you can whip up a batch every 3-6 months and get peak potency from your blends at a truly affordable price. Recipes optimized to suit your skin type: Skincare products in the market come with two tags: normal to oily and sensitive to dry. Most of these products either dry your skin or leave it too slick, opening up a whole new “can of worms”. However, the essential oil recipes in this book are especially meant to handle the problems of people with dry and sensitive skin. This means that within 10 days of using the skincare recipes, you will have a brighter, well-moisturized, healthy and smooth complexion on your face. No more dryness! Increase the amount of certain oils to battle specific skin issues: If a certain skin issue is more intense than the other, you can simply increase the quantity of the oils that are used to handle that specific skin problem while removing or reducing the quantity of another essential oil if need be or increasing the amount of carrier oil used. Not only will you find recipes for dry and sensitive skin as well as anti-ageing blends in this guide, but also you will learn the precise science of mixing essential and carrier oils for maximum efficiency. Treat the skin from the inside out and the outside in: Use the most expensive commercial products, including those that contain the most talked about anti-ageing compounds such as Retinol and Hyaluronic acid or Vitamin C and you are still only dealing with age-related issues on the surface. But, with essential oils, you will fortify the deeper dermal layers and tone the muscles that support the collagen fibers and the skin. What’s more, the antioxidant effect of the phytochemicals in the essential oils is carried deep into the skin cells, which means you get greater and stronger protection from free radical damage. Your skin doctor at home: It’s not just pimples, wrinkles and age spots that these essential oil preparations battle but also other skin concerns. From rosacea to eczema and from dermatitis to acne, these essential oils can handle them all and more. The biggest advantage of using all natural blends is that you can use them safely and effectively with skincare gadgets such as light therapy devices, micro-needling rollers and vibrating massagers. Lower your dependence on makeup: Who needs makeup when you have flawless skin? Within a few weeks of using the essential oil recipes in this guide, you will be able to combat the dryness of your skin and tone down your use of concealer, foundation and even your blush. If you’re ready to fight back against the effects of ageing and look young and vital as you feel deep down inside, click the ‘Add To Cart’ button below to buy the 90-page eBook for the special price of US$19! Simply head to our secure checkout page, where you are going to fill in your information to claim your copy of the eBook. Once you check out, you’ll see the instant access download page. The eBook will be emailed in a PDF version, so you can read it on your computer, tablet, or smartphone, or print it out and read it anywhere. So many things to learn. I’ll buy this book soon. Indeed, the journey of essential oils is a steep learning curve, just take your time and go through material at your own pace. Thanks in advance for your trust, I am sure you’ll fall in love with the ebook, it has over 90 pages of beautiful content. I have made all of the wonderful recipes for morning and night (mature skin) in your “Dry/senstitve Skin Book” had a little trouble at first getting everything made and proper containers etc, now I am into a routine and I am not feeling overwhelmed anymore, I am loving the results even though it has been only about a week with consistent using morning and night. I love the eye cream. I will add a comment on your website after I have been using for about 4-6 weeks! I am writing today hoping that you have a recipe or suggestion for hair loss for my husband and thinning for myself. I would prefer something that I can make at home rather than buying a finished product. Thank you so much for all of your wonderful recipes and I LOVE my book (dry/sensitive skin). You are very welcome. Thanks a lot for your positive feedback and updates. I am really looking forward to your comment as well. Can you please check the article below and let me know if you are happy with one of the recipes. If not, let me know what exactly you are after and I will provide another one. I absolutley love this ebook, the details in this how carrier oil should be used are very clear, simple and extremley helpful. I highly recommend getting this ebook. Now that I have received my first batch of oils please tell me how to care for them. Please help me out and advise me. promptness of delivery. Great. Thanks. You are on the right track: The essential oils should already be in dark glass bottles. You should keep them in a cool place, i.e. not exposed to extreme heat. Pomegranate and carrot seed have a shelf life of around 1 year, whereas rosehip seed about 6 months. You can keep them in the fridge to prolong their shelf life. I have begun making recipes from your book and I am having difficulty locating Enchinacea Essential Oil – where would you suggest finding this product or an equal substitute for it please? I am also having difficulty with Grapefruit Seed Extract – is there a substitution for that one? Thank you so much and I look forward to your reply. I recently purchased your book dry/sensitive skin and I am very excited to get started as I have almost finished reading the book. Really enjoying all the information, thank you. Do you have a recipe or recommendation for old scarring, this was from a C-Section many years ago? Thank you so very much – I love your site!! You are very welcome and I truly appreciate the great feedback on my eBook. For old scarring it is best to go with H-Scars as any essential oil recipes may take 6 months of regular use for decent results. Hi Olivia I have looked all over to find Gotu Kola essential oil and cant find it do you know where I can buy it . I read of it in your Dry Skin ebook . There is a supplier that I use in Australia for Gotu Kola, shipping might be high to US. You could try the store below, located in the UK. Thanks Olivia for your reply. No milk, as it is an animal by-product. Is there something else other than a dairy product you can recommend as a substitute for buttermilk? Please use a small quantity of water and add some lemon juice or apple cider vinegar (ACV) to it – just ensure that you are able to form a smooth paste. If you intend to keep the mixture for a period of time, use ACV. For additional help, please drop me a line. I recently purchased your eBook, and I have a few questions about some of the ingredients. Is there an alternative to Rose oil? At $200+ a bottle, I am afraid I cannot afford rose oil. Also, another recipe calls for buttermilk, and as an ethical vegan, using buttermilk is not an option for me. Can you please recommend an alternative to buttermilk for your recipe? You can use Rosehip seed oil instead, which is much cheaper. Can you please let me know if milk is acceptable and I’ll come up with a substitute for you. Hi Olivia I have been reading your book on masks and am trying to find rosehip powder and the only powders that show up online are rosehips powder with the vit C . Is this the kind of powder you are talking about in your ebook ? I am trying to make a facial cleanser for daily use. can you give me a few ideas. Can you please let me know about your skin type, i.e. oily or dry. Dry skin has been an issue in my life. It made me feel bitter and in pain each time my sensitive skin brings me allergies. I really need a copy of this to help me achieve that normal skin that I’d been dreaming for! Sure, whenever you are ready to start your skincare treatment for dry skin. I just found the right thing that I needed! I’d been suffering from dry skin and itchiness for many years now, and been trying different products since then. Some products made it better, some made it worse, but none gave me ultimate peace of mind. This ebook offers great help that could give me skin comfort for a long term. Thanks for creating something like this and for minding people like me who are suffering from skin problems. You are welcome. Absolutely correct, my dry/sensitive skincare eBook will deal with all your skin problems and even more. There are 90 pages packed with info. Hi Olivia , I cant find in the 2 books I bought from you an essential oil or carrier oil that addresses crepey skin but I was sure there was at least 1 . Did you indeed mention an oil for this issue . I wonder if it would be Rose. Hope you are doing well. For crepey skin, two excellent oils to use are rosehip seed or palmarosa. Also good for crepey skin are patchouli, frankincense, myrrh and neroli. If you need further help, simply drop me a line. After reading this article, I think this is the perfect solution for my skin. I usually experience hurting itching on my skin every time I work under the sun. I tried several moisturizers but no significant result. So I guess I will have to try this. THanks alot. You are welcome. If you need any further help, please feel free to reach out. I’m usually oily during the summer and dry during the winter. Which eBook do you recommend? What oils are good for psoriasis? It is indeed not an easy question to answer. A large number of my customers have bought both eBooks due to the same reason. Perhaps, start off with the dry skin eBook for now (if you are based in the USA as it will be winter soon), then in 6 months’ time (prior to summer), you can go for the oily skin eBook. If you need additional help, please do not hesitate. I had just started experimenting with DIY skin care products when came across this eBook. I thought it would be a good idea to buy it because I like working with readily available information. I have used nearly all the recipes in the book and am now on completely natural essential oil skin care. I have spent a lot of money on popular products but I can honestly say that nothing ever worked half as good as these natural blends. Whether you have dry skin or not, you should try this eBook and the recipes in it. I am totally impressed that you have in fact been able to get through all the various essential oil recipes / skin care recipes in the ebook. And thank you for sharing your experience using essential oils for skin care and the fact that you are getting positive results. As one of my previous guests rightly pointed out, why use man-made artificial products when you can use what nature has provided. If you are after one book that offers you all the details you need before you start mixing your own essential oils…then this is it. I love the way in which all the information has been presented in this ebook and how easy it makes it for a beginner to start working with essential oils. I have tried these blends with my other products and the results were surprisingly good. Now, I can make my own skin care products. Thanks a lot for taking the time to write back to me. If you need any additional help, simply drop me a line. I stumbled upon your web site today and I have learned SO Much already. I am wondering if your book about Dry and Sensitive skin will help me with what I call “elephant eye” very wrinkled, puffy, flaky (eyelids) and sometimes cracking not to mention Very Sensitive eye area? I am currently using an antibiotic in the eye and around the eye but I would like to put the elephant eye out to pasture where it belongs….not on my face! Thanks for visiting. In my eBook, there are various methods for dealing with “under the eye” issues for night time and day time as well as an eye cream recipe. Alternatively, if interested, you could opt for the Simply Eye Serum. I still think you will gain more info and knowledge from the eBook and prepare your own. Hello Olivia! I purchased your book and read it from cover to cover. Wow! This book is so jam packing with great information!! Thank you so much! I also want you to know that I love the recipies you have in your book too. So many options and I did not know where to start so I purchased the Simply Eye Serum just like you suggested. I have made some simple changes based upon information in your book and people are trying to figure out what is so different already. Thank you Thank you! This is the begining of a beautiful journey. You are much welcome. I am glad that you enjoyed the read from start to finish. Indeed, I have included a lot of information and recipes to choose from. It is also an excellent reference book and one that you will not find anywhere else. Great work! The recipes can be adapted to your needs exactly like you have done. I am so grateful that you are seeing changes to your skin, keep it up and most of all, be consistent in using essential oils. Enjoy the journey and take care. Hi Olivia! Your emails are the one thing (of all emails on essential oils and health stuff i signed up for) i don’t skip. I always read them entirely with full enthusiasm for learning. Thank you for spending the time to educate us. I am in the process of purchasing your newest eBook for dry/sensitive skin. I am a 52 year old asian woman who spent much of my earlier years in humanitarian medical world under the Asian sun. I am paying the price now; lots of brown spots popped and popping, as well as dryness on facial skin. Hormonal changes probably are partly responsible for them also. 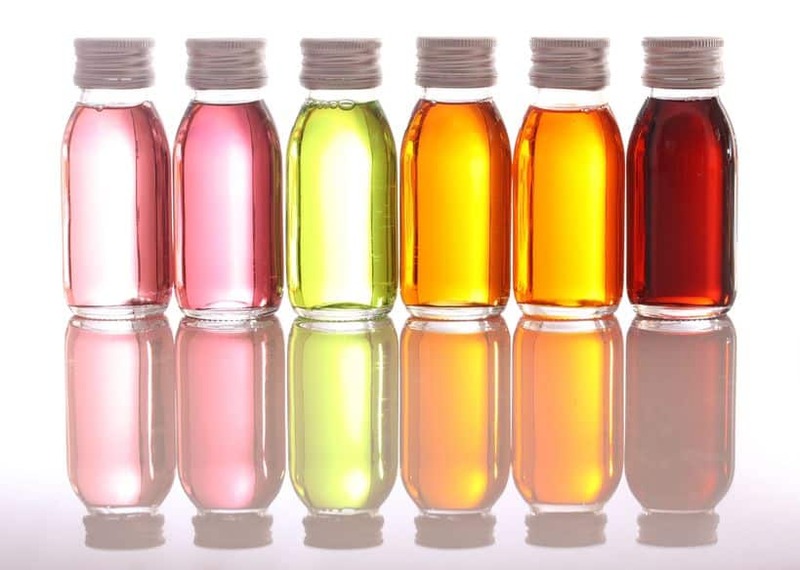 I think I use your essential oil recipe for a super night serum, mixed in 8 types of carrier oils: marula, borage, rosehip, argan, ricebran, moringa, and apricot kernel, sea buckthorn. I love it!! Olivia, will this book sufficiently address my aging skin or will you be releasing a book in the future sprcifically for my type of skin? Thank you so much. You are so welcome and I really appreciate your feedback, especially your feedback on the essential oil recipe. I am very impressed that you are using one of the most complex recipes and pleased that it is doing wonders for your skin. The new dry/sensitive skin eBook should address your skin issues as well as it contains recipes for day time / night time and anti-aging. I will not be releasing any new eBooks on essential oils in the near future. The only other project I am currently working on is an eBook on face masks, however I don’t plan to have it ready until later this year/early next year. My pleasure. The best 4 essential oils I would recommend for dry and sensitive skin from your list are: Neroli, Roman Chamomile, Geranium, Sandalwood. Grapeseed oil would be my preference as carrier oil for dry/sensitive skin, however, you can use pomegranate oil if you wish. There are a lot of DIY skin lotion recipes online but I have not come across any website that provides such in depth information on all things related to skin care. I am 45 years old, so naturally I was not hoping for a miracle, but those recipes have worked beautifully on my skin and my wrinkles are slowly fading away (not like magic, but with meticulously using the recipes everyday). Thank you so much for this wonderful dry skin guide. I am going to try out every single recipe in it in my own time. You are welcome and thanks a lot for sharing and for your positive feedback about the essential oil recipes in the Dry Skincare eBook. All the best and let me know if you need any help with the recipes and/or with getting your skin smooth and silky again. I bought the oily skincare book. I have now bought the dry skin book. I thought there would be repeated info, but I was wrong. Remarkable work Olivia and thank you. 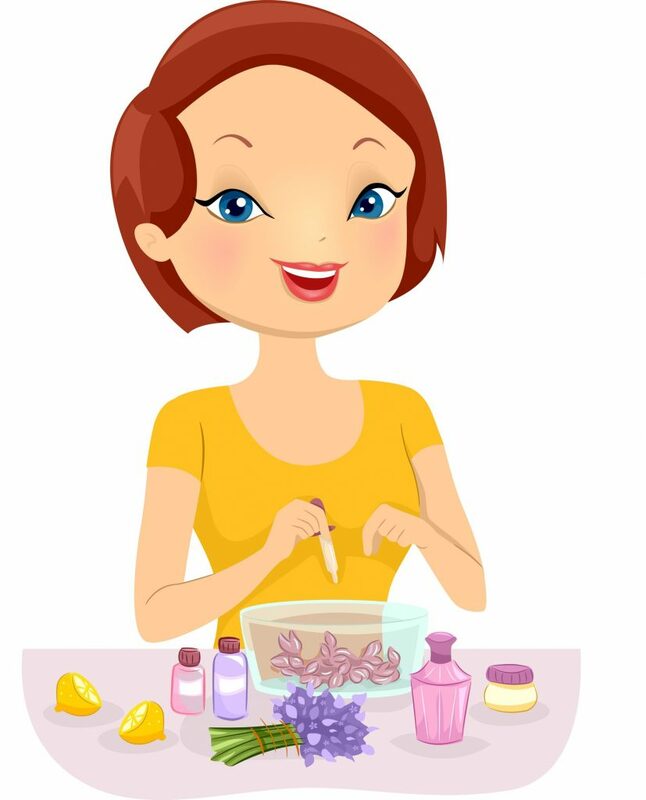 I currently use essential oil recipes from your ebook on my patients in my beauty salon and they keep coming back for more essential oils skincare treatment…shhhh! Thank you. Since the topic of oily skin vs dry skin is so different, the material covered in each ebook is varied and different – information that you will not find anywhere else. I am pleased to know that your patients love the skincare treatment using essential oils. Well done and keep up the good work. I have terribly dry skin and every product that I have used so far had been made my skin worse. I had heard that oils are good but did not know which oils to use for my skin type. This book made it so easy to pick the right oils and to mix them to bring out the best in each. I am using some of your recipes in combination with my ones. My skin has never felt so smooth and healthy. Thank you for taking the time to write back and for the positive feedback. If you need more help, please let me know. Olivia, what can I say, other than thank you for providing us with all this top notch info. Why did you keep this to yourself for so long – makes me jealous? I am starting off with the night time recipes immediately. You are welcome. Let me know how you go with the night time skincare recipes and simply drop me a line for any help. I suppose mine is a classic; have had skin flaking, roughness, itching and all other symptoms of dry skin. Tried everything in the market, but it was money wasted. This eBook was recommended by a friend and that was the only reason I bought it although I did not expect much from it. All I am going to say is, thank you for a product that can actually change a person’s life. It sure did change mine. I have only just started using two recipes and my skin already looks better (and not dry or cracked anymore!) and I only have you to thank for it. Thanks a lot for the positive feedback. I am glad that the recipes are working well for you. Best of luck and hope you keep trying the rest of the recipes. Hi Olivia I’m reading your new ebook on dry skin and you mention Helichrysum and there are many I have the splendidum version but which one did you mean for your readers to use? I personally use Helichrysum Italicum, however there are no issues with using Helichrysum Splendidum. I have just brought your new book on dry skin. In your free book you are telling that you used essential oils to clean out emotional baggage. I am very interested to know which oils you used. Do you have any recommendation? I cant not find very much about dealing with emotional baggage on your website. Do you have an ebook on that? Unfortunately, I don’t have an ebook on that topic. The 3 essential oils that I would recommend t deal with emotions are Jasmine, Rose and Orange essential oils.